Hello! Today is the last day of Lawn Fawn Inspiration Week! All the new products will be available tomorrow! 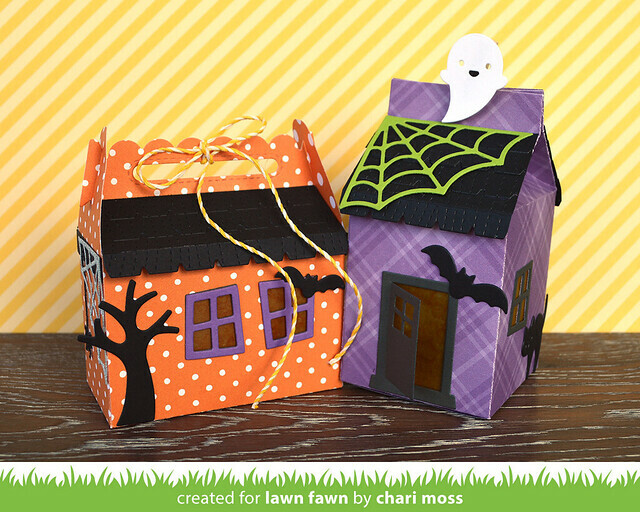 But for today I have a project with the Scalloped Treat Box Halloween House Add-on die. 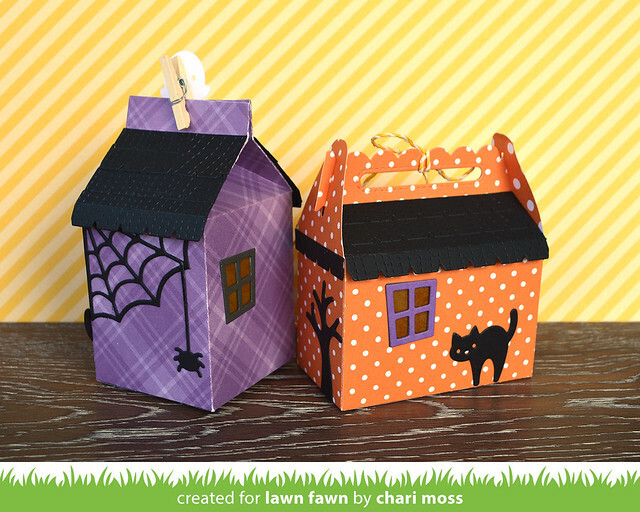 This is a really fun way to stretch your scalloped treat box die even further. 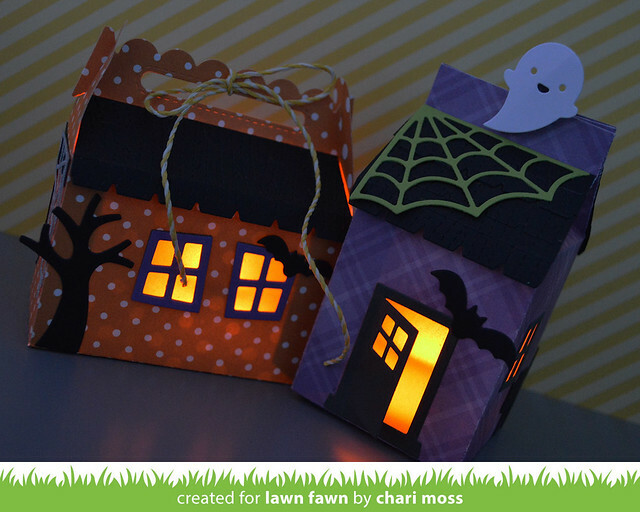 I decorated the scalloped treat box with the add-on set and I also tried it out on the milk carton die to create a the start of a spooky little village. I added vellum colored with yellow alcohol ink to the inside of the boxes behind the door opening and windows. 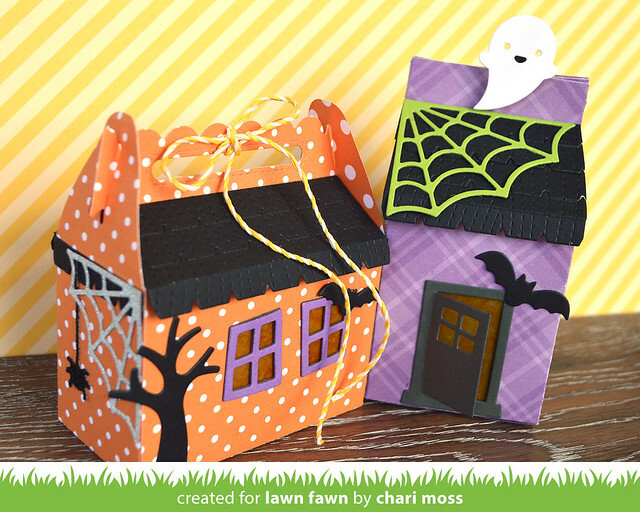 The cute cobweb is a nice addition to the shapes from the Halloween House add-on set. I used vellum for the window and door openings so that a battery tea light could be dropped inside to create a warm glow from the inside. Be sure to check out the Lawn Fawn blog for more projects. And be sure to check out your favorite retailer starting tomorrow for all the new products! Thanks for stopping by today. Those look great with the lights inside them! LOVE the addition of the tea light. SO CUTE!! Your samples this week (and all the time really) are truly inspirational. Nice touch with the tea lights!